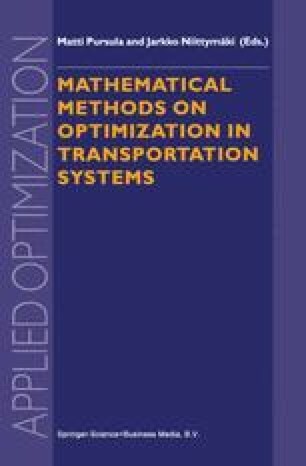 This paper concerns with aggregate calibration of urban travel demand model parameters from traffic counts. A bi-level sequential Non-linear Generalised Least Square Estimator (NGLS) has been proposed to calibrate a travel demand model. The first aim was to find out the effects of the required input data accuracy assumptions on the model calibration. The second aim was to show the possibility to improve model link flows estimation performance even if the starting demand model was properly calibrated by using expensive disaggregate data. An experimental analysis was carried out on a real middlesized town: the model was calibrated and validated under different “a priori” assumptions on data accuracy level of the starting data The employed data were a traffic counts set and a maximum likelihood starting estimate of the travel demand model parameters.